If you’re tired of taking off your own shoes, why not give Frederick J. Cullum a try? I am twenty-eight, five feet seven, weight 140, blue eyes, dark brown hair, considered to be nice looking, in the best of health, at present in poor circumstances, fairly educated in good common sense, thrifty and believe in an economical and enterprising life; agreeable and always try to look on the sunny side of things. I seek to marry first, for love, and wealth a second consideration. I seek to marry a lady who can assist me financially and encourage me on. Anything you care to ask will be cheerfully given. State particulars when you write. Everything will be held strictly confidential to those who answer same. From a lonesome young genius. Indeed, we can speak from experience that the love life of a good looking, lonesome, young genius can be a difficult one; but we soldier on, and certainly hope Fred found his mate. If you haven’t heard of Moingona, Iowa, then you’ve probably never heard of Honey Creek, along which Moingona was built. During temperate weather, Honey Creek was plenty rapid, but during the rainstorms of early July, 1881, it rose higher and higher, becoming a torrent of swirling brown water, carrying with it trees and debris. As the Creek swept downward to meet the Des Moines River, this debris came smack up against the bridges which crossed Honey Creek; twenty one in all. The wooden bridges quickly succumbed to the creek’s relentless assault; only those with stone abutments stood firm. At about midnight on July 6, 1881, orders came from the headquarters of the Chicago and Northwestern Railway to send out a “pusher” (a engine which pushed trains up steep grades) to check and make sure that the Railway’s bridges over the Des Moines River and Honey Creek were still standing. Ed Wood and his crew of three men crossed the Des Moines River Bridge just fine, and as they approached the Honey Creek Bridge, they could dimly make out through the raging storm that it was still standing. It would not be for long; the pusher had just reached the center when the bridge began to crumble, sending Wood’s crew into twenty five feet of water, killing his fireman, and sweeping the tender downriver. Kate Shelley, her mother and sisters had heard the crash from their house overlooking the bridge. Shelley’s eighteen years of life had given her enough misery and toil to last a lifetime; her brother had drowned while swimming in the Des Moines River, and her father, former night watchman on this particularly dangerous stretch of railroad, had died, worn out by the constant exposure to the elements that his duties commanded. At age 15, Shelley took the night watchmen job over after his death, and already friends remarked that exposure and hard work had given her the appearance of a woman of twenty-five. Shelley had just returned from letting the livestock out of their barn, which was rapidly filling with water, when she heard the engine bell of Ed Wood’s pusher; almost immediately thereafter the crash had followed and the sound the hissing of the hot boiler striking the water came through despite the wailing of the wind. The family was so poor that family didn’t own a proper lantern, Shelley improvised one out of a miner’s helmet, and started off alone to the bridge, where the two men cried for help. It was normally tough going climbing down the hill to the banks of Honey Creek where pusher lay, through inundated fields, and in the middle of the tempest it took Shelley a good twenty minutes to get there. Wood shouted out through the pouring that the express train was almost due; never mind them, she must get to Moingona and warn the station master that the bridge was out. Shelley set off once more through inundated fields and marshland, the mud sucking her downward with every step. Between her and Moingona the only bridge still standing was that over the Des Moines River, already it too was showing signs of strain as floating debris battered against the trestles and piers. Shelley walked step by careful step from one railroad tie to another River. There was nothing solid beneath her, and the railroad ties were three feet apart, necessitating a jump from one to another with the howling wind all around her and the muddy waters of the River thirty five feet below. She’d almost made the other side when her lamp went out, the remaining steps and the journey to Moingona were made in pitch black darkness. She barely made it in time, the passenger train, filled with 220 men, women, and children was stopped at Boone, Iowa; few minutes more and it would have been too late. Now came the task of saving Wood and his fellow crewman, and Kate Shelley proved up to it once more, she guided a rescuing party, and thanks to her intrepid nature, the men were saved. Here is a deed bound for legend. . a story to be told until the last order fades and the last rail rusts. 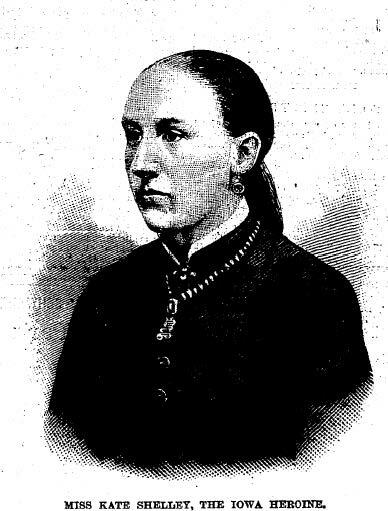 On the night of 6th July 1881, Kate Shelley, then a girl of 15 years crossed the Des Moines river bridge at Moingona Iowa, in tempest and flood and prevented a C. and N. W. passenger and express train from plunging into rain-swollen Honey Creek where two men had died when a bridge collapsed under their locomotive. Her heroism saved the train and those aboard and led to rescue of survivors from the Honey Creek disaster. Populated by kangaroo rats, coyotes, sidewinders, and chuckwalla lizards Death Valley, California was a graveyard for men who’d succumbed to lack water and died with parched tongue sticking to the roof of the mouth, dust choking the lungs, and the sun roasting their very flesh. What little water there was could be dangerous; many of the springs were tainted with alkali or borax, and would kill a man rather than save him. The locals in the scrabbling towns around the desert called those who braved the sun and sand “Desert Rats,” and the desert claimed some twenty five of them each year. Lou Wescott Beck almost joined their number, he’d been a prospector for most of his life, searching for gold in the Big Horn country up in Wyoming, over into Montana, then down into Nevada until word reached him in the early 1900’s of a gold strike in Death Valley, California. The strike was a hoax perpetrated by colorful conman Death Valley Scotty, but Beck and his four companions didn’t know that, and traipsed far out into the desert in search of gold. That first trip, Beck and his men weren’t aware of any of the dangers; unused to the desert, they began to run out of water. Their tongues became swollen, their lips cracked, and they became desperate, as the wandered completely lost with nary a sign post or map to guide them. Every hour or two, they came across the skull of an animal or their fellow man, who’d perished in the sands to be eaten by vultures and coyotes. It was only by pure luck, and with but a few scant hours to live, that they’d discovered a tiny spring at the base of the Panamint Mountains, and so were saved the same fate. When Beck arrived back in civilization, he was a changed man. Perhaps he’d had an epiphany out in the desert, or made a promise to the Divine. He began to travel Death Valley, equipped with tin strips, paint and signposts. 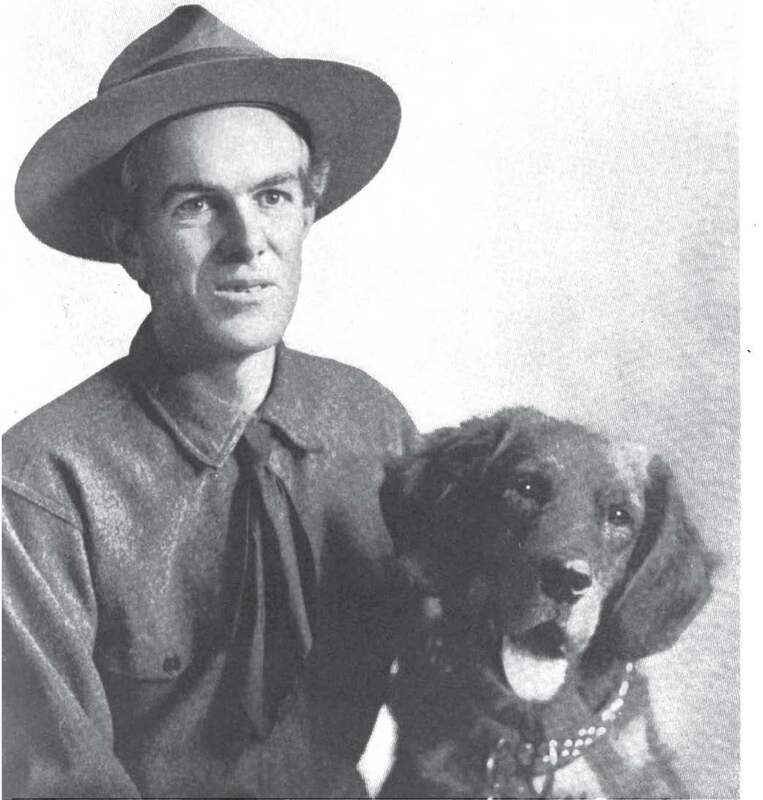 Beck wasn’t alone; his faithful golden retriever Rufus; joined him. The two began to mark out the desert, creating signposts signaling the way to good water, and affixing tin strips to piles of rock; the sun shimmering on the tin could be seen at great distances, and provided a blinking marker pointing the way to water and help. Both of them wore specially made boots; Rufus’ went up to his knees and protected his paws from thorns, snake bites, and desert rocks heated by the sun. Rufus served as a sort of desert St. Bernard, carrying water and antidotes for snake bites in modified saddlebags. Rufus had a good nose too; he’d often find travelers collapsed in the desert long before Beck had an inkling they were there. Rufus himself saved at least a dozen men. Some folks in Pasadena heard about Beck, took up a collection, and donated a Flanders “20,” a small twenty horsepower open touring car which would let Beck move through the desert faster. He called the car “Chuckwalla” after the hearty desert lizard. The year before, Beck had discovered an automobile which had overheated; beneath it were four corpses, who’d died miserably under the car praying for help and trying to keep out of the sun. So Beck took precautions, and to keep his engine from overheating, he placed asbestos coated blankets over the engine Having prepared his tin strips and signs during the winter, Beck and Rufus set out once more, and during the next few years marked wells as having good water or bad, and erected signs directing travelers back to the roads and to safety. I shall always think of him with the background of the desert, and all about him the limitless space. I shall think of the dawn with its wonderful orange and flame, and the desert blues when the morning stars are sinking, the moon has sunk out of sight, and Arcturus is blazing, and through it all I shall hear the musical baying of Rufus, as he called to the distant mountains to send forth their streams of living water, and I shall remember the intrepid dog soul that never faltered, the life saver, Rufus of the desert. Among the annals of athletics, the sport of Goose Racing is sadly absent. It has no Hall of Fame, it is completely missing from the Olympics, and no trading cards exist trumpeting the statistics of its brightest stars. Yet, it is a sport, or perhaps we should say “was” for we haven’t had the privilege of seeing a good goose race, or even a bad one for that matter. Apparently, goose races were quite the thing in the late 1860’s. 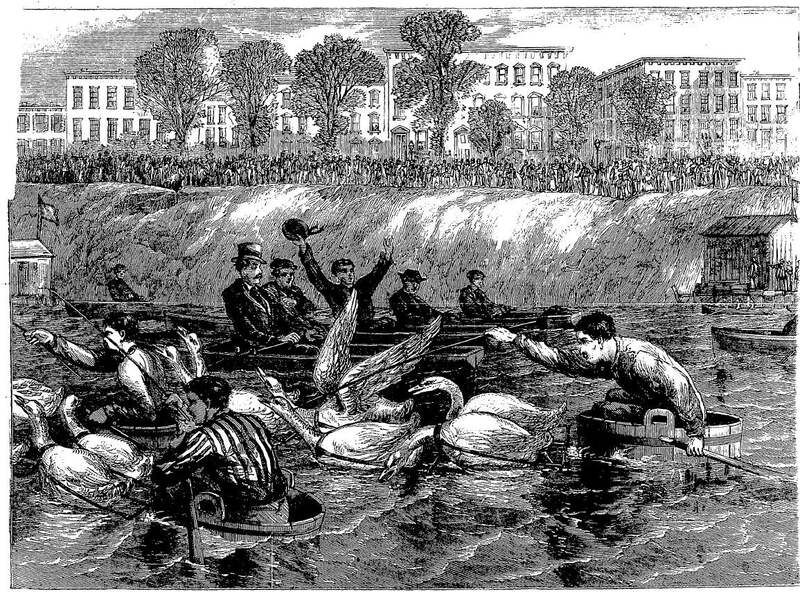 The goose race above took place in the Lake Basin in Chicago, and as it was adjudged a tie, the two parties split the $200.00 prize. It would probably be more accurate to call it “geese racing” but our forbearers didn’t mind the grammatical faux pas, so we’ll let it slide. 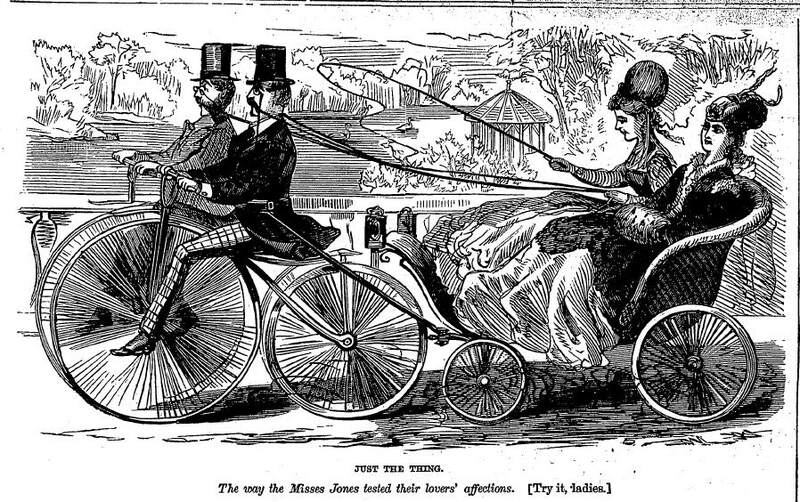 According to the literature, to participate in a race you first need to build yourself a goose chariot. This can be accomplished by taking a long piece of wood, approximately 6 feet long and 4 feet wide, and carving a large hole in the center. Now, into this hole goes a large washtub, which I’m sure the readership has handy. It is suggested that the wash board be removed from, the wash tub prior to installation. Having secured the tub to the plank, affix a long pole to the front of the tub, long enough to attach six geese. Geese are known to be bad tempered, so the caution is urged in affixing the geese to the poles. Finally, place the entirety into the water, grab yourself a paddle so that in the event the geese do not propel your chariot with adequate speed, you can make it to shore. Now, climb in, which should wooden plank so that only the tub is above the water, and you’re ready for the race to begin. We here at Forgotten Stories suggest to the readership a goose race, to be held on the Hudson River, with the challenger to provide the requisite geese. Any challenger may, if they so desire, affix said geese to a tachypodascaphe. This particular item probably should have found a home in our posts on bicycles, but unfortunately turned up too late to be used. 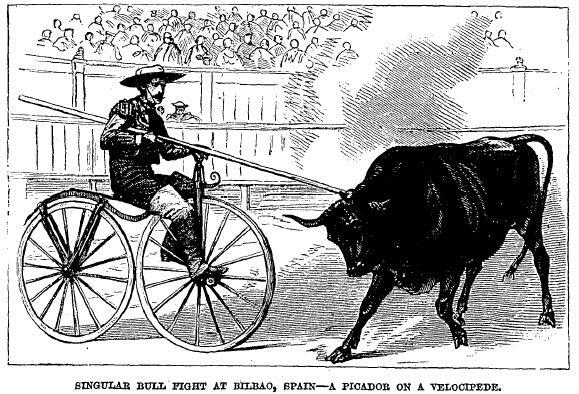 On June 7, 1868, during a Spanish bullfight, a creative picador replaced his horse with a bicycle; explaining that as bicycles didn’t tend to get disemboweled by an irate bull, the choice was a logical one. To the bull it made no difference, he knocked over the picador, who found safety in flight, leaving his bicycle behind. On May 27, 1871, the Pittston Coal Mine collapsed in a heap of rubble and fire. Trapped at the bottom of the mine was a minor miner, little Martin Creghan, and some of the more mature members of the mining fraternity, including his older brother. 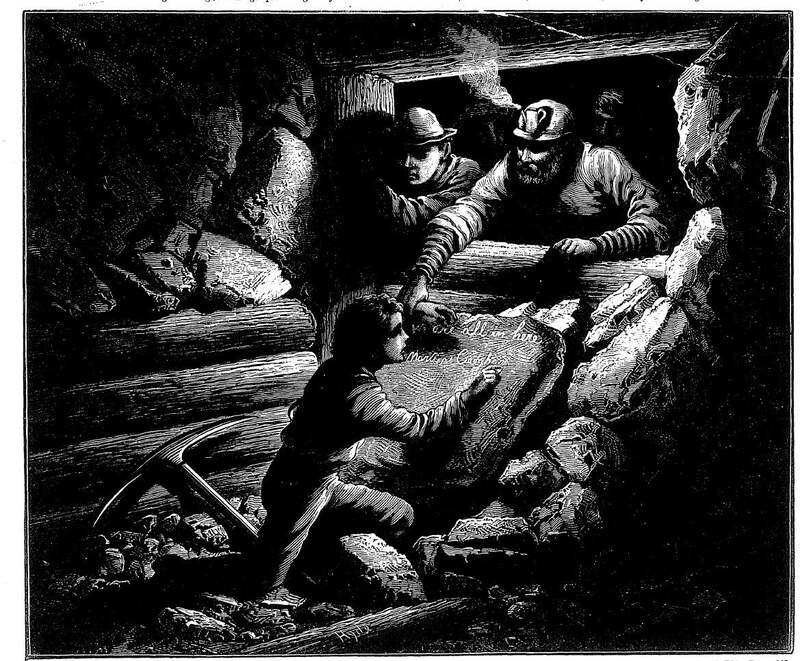 To protect themselves from the rapidly approaching flames and noxious fumes, the miners set to work raising a barricade. It was almost done before they realized that some sort of message should appear on the outside, letting their rescuers know that men were trapped inside. Only Martin could fit through the remaining hole. With a piece of chalk, he used his limited schooling to scrawl, very slowly “We are all in here.” Then, perhaps sensing his own impending doom, Creghan ignored the entreaties of the miners, who were quite anxious to seal the barricade, and laboriously wrote his name in full. They barely managed to pull him inside before the fire arrived. The men were eventually rescued by their fellows, who noted Martin’s sign; but unfortunately help arrived too late for Little Martin. The cab drivers in the San Francisco of 1859 were sure clever fellows. It had not rained in days, and the theater growing crowd took advantage of the nice weather to walk home after they’d seen a show, instead of taking a taxi. The cabmen launched an ingenious plan, and on one night in the early summer, they waited outside the theater door with umbrellas open as the crowd came out, while one of their number showered water down from a window above. It would have worked in filling their cabs too, if it wasn’t for the meddling police, who quickly detected and put a stop to the practice. We here at Forgotten Stories remember when carpenter jeans and cell phones became popular simultaneously; the handy carpenter’s pocket proved just the place to store the phone. Dual fashion trends weren’t a stranger to the bicycle craze either, just at time the bicycle were becoming popular in 1869, long mustaches for men were en vogue, and the ladies took good advantage of the trend. An inventive Parisian, M. de La Rue, perhaps because he lacked a nifty mustache, instead invented a tachypodascaphe to impress his female friends, which he took out on the Seine. Of course, inviting a proper Frenchwoman to “Ride my tachypodascaphe” would produce a quizzical eyebrow at best, and a slap in the face at worst, so de La Rue nicknamed his creation “The Insubmersible.” Two pontoons, joined with four iron cross beams, supported a paddle wheel, which could be ridden just like a bicycle. In the event of poor weather, The Insubmersible came equipped with a sail. 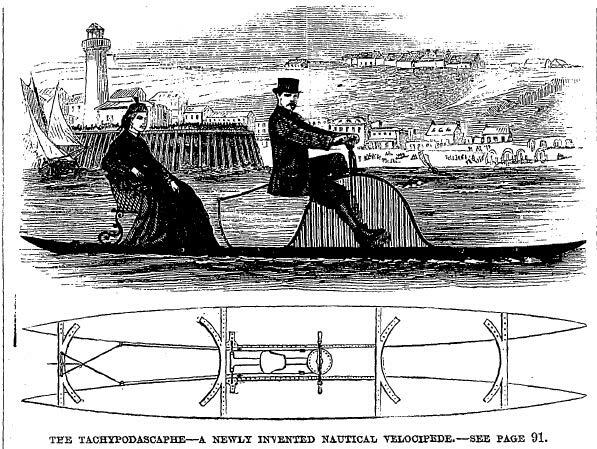 “As a pleasure craft, this ingenious contrivance will doubtless become popular,” said Frank Leslie’s of April 24, 1869. We here at Forgotten Stories hope that happens soon, we’re looking forward to riding one. 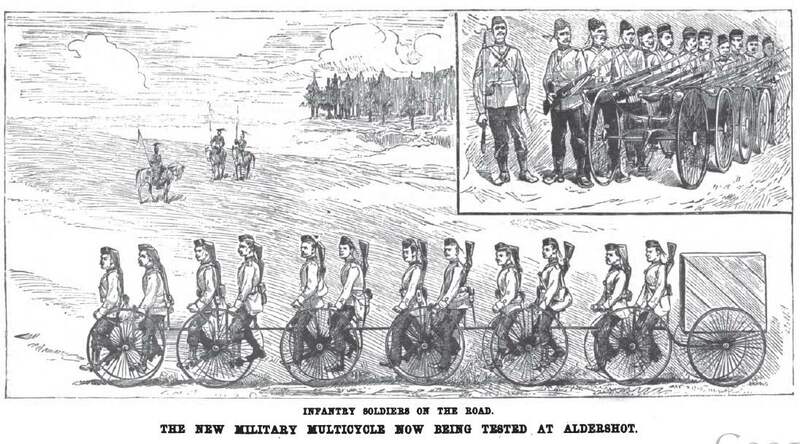 Meanwhile, the British Army began exploring the uses of the bicycle in military applications. Unfortunately, the multi-cycle, manned by ten to twelve men who carried an ammunition storage cart behind them, proved unsuitable for military use. 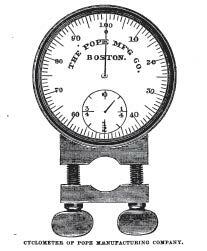 On the weekend of September 11 and 12, 1879, forty wheelmen gathered in streets of West Roxbury, in Boston. 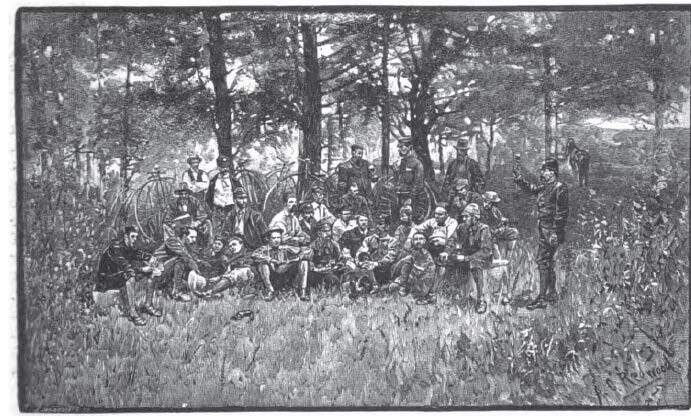 It was the first ever wheelman’s convention, and the Boston Bicycle Club invited fellow clubmen from as far away as New Jersey, to join them in a 100 mile ride around the Massachusetts. 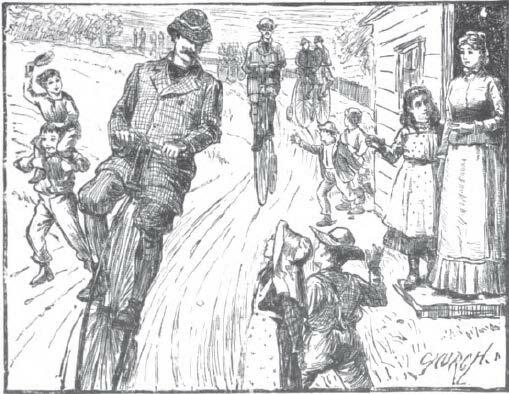 Riding a “century” as it was called, was considered quite the accomplishment, and the gather was the largest congregation of wheelmen in history. Several of the men displayed club pride they wore their uniforms; the Worcester Bicycle Club stood out wearing all grey flannel, but were perhaps topped by the white shirts and bright blue stockings, set off with a matching polo cap, of the Hartford Club. Each rider had his own sobriquet, and the President of the Boston Club, known as the Captain, sounded “Boots and Saddles” on his bugle. 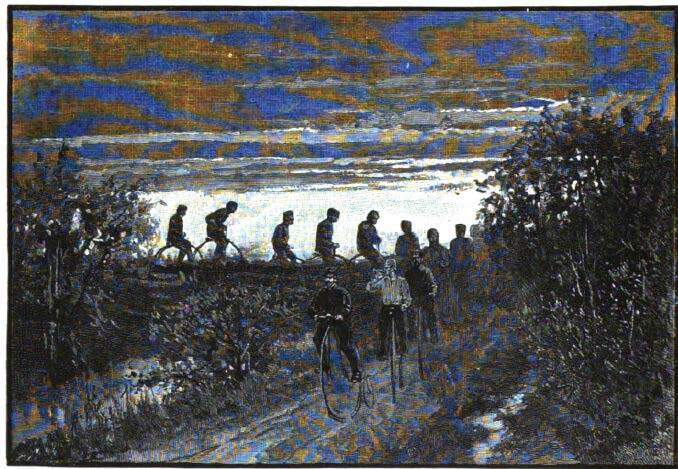 The ride began, the wheelmen proceeding two by two out of town. 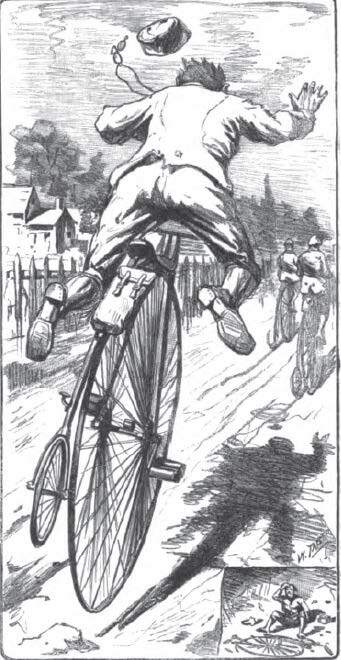 At the very first hill, one rider, known as “Froggie” ostensibly for his efforts to jump ahead of the other riders, attempted to show off; after getting his bicycle up to 15 mph, he struck against a rock, taking a header over the handlebars. The accident did little to dim his enthusiasm. At Brook Farm, formerly a utopian farm and the setting of Hawthorne’s Blithedale Romance, the travelers stopped for a brief rest, much to the delight of the farm’s current residents, the wards of the Martin Luther Orphan’s Home. A short while later they were off again, wheeling through Dedham. Conversations centered on the lousy nature of the roads; one rider contended that they wouldn’t get any better until Alderman started riding bicycles; a New Jersey man countered that they were heavenly compared to the Jersey turnpike. Again the men mounted up, and away they went. Two wheelmen, “Ned” and “Muffin” riding side by side, began an impromptu “scrub race” when Ned noticed Muffin had advanced a little ahead, and he passed him, challenging Muffin to return the favor. For a mile the men flew down the road towards Readville, to the cheers of their companions. Ned, two lengths ahead of Muffin, put his legs of his handlebars as he coasted, signaling triumph; Muffin crossed his arms over his chest and pretended not to notice as he rode by. 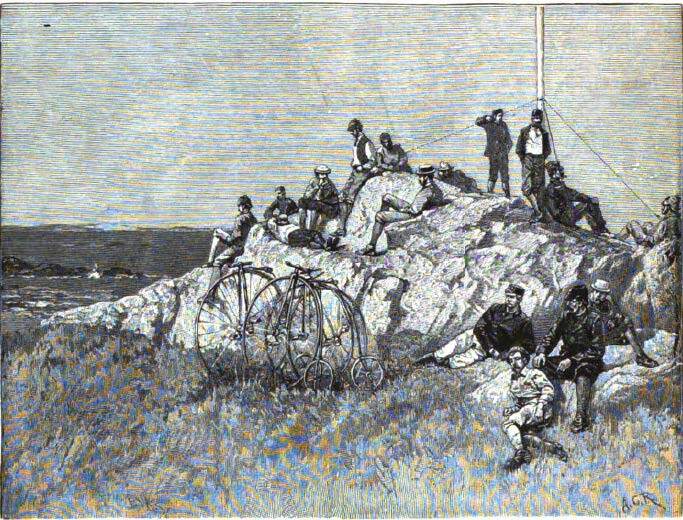 Towards the early evening, the men ascended Blue Hill, those who made it to the top without dismounting earning the plaudits of their companions; then it was down to Sharon, Massachussets in the receding light of the setting sun. 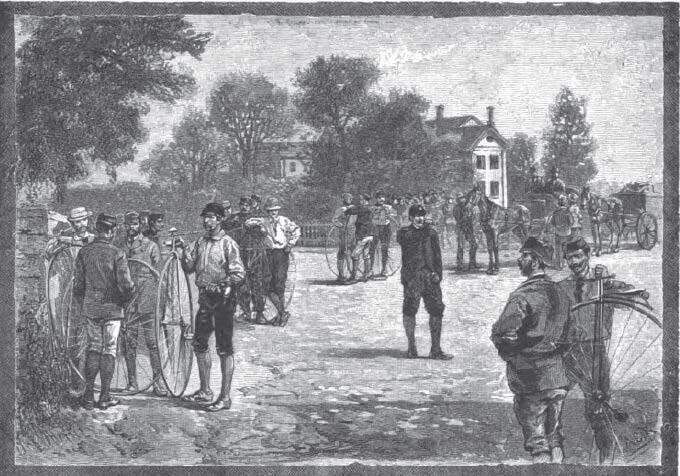 Arriving at the town inn after a total ride of one hundred miles, the wheelmen cleaned themselves up, dusted off their clothes, and sat down at two long tables for a well earned supper. The conversation centered on past rides, comparisons of roads, and bicycle models, and some jests in the direction of “Masher” who was busily engaged chatting up one of the young ladies who worked at the inn. Songs were followed by dancing; but Masher’s request for a dance was refused by his chosen target, she insisted that her husband always got her first dance. Festivities done, the wheelmen retired to a much needed rest. 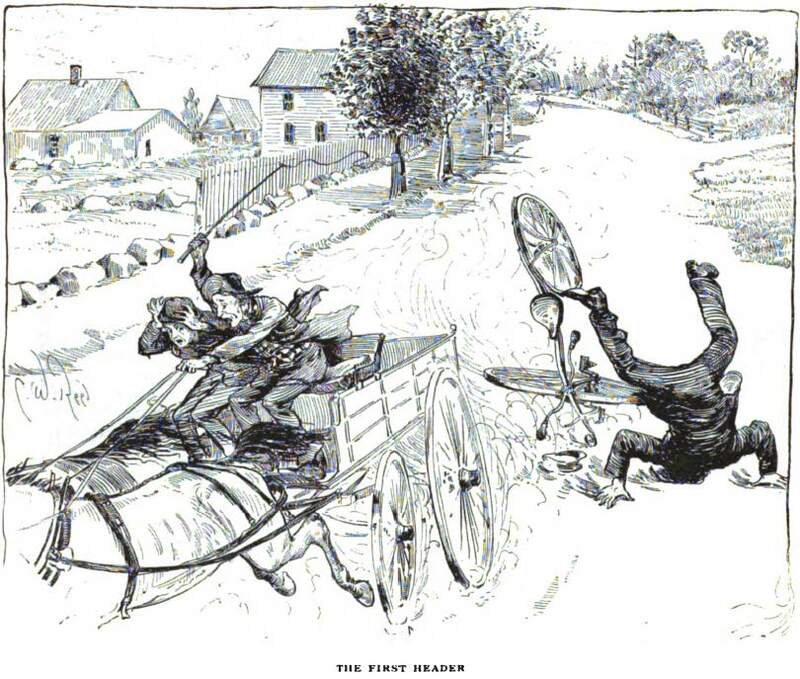 The next day was to be harder; they arose early, dusted and oiled their “steeds” and set off through South Canton, Baptist Corners, Randolph, South Braintree, and Weymount. By now, news of the ride had gone ahead of them, schoolboys cheered their passing, and fair maidens waved handkerchiefs out of windows. At 1pm, the men arrived at Cohasset, settling in for a fish lunch at Kimball’s, complete with their choice of apple or squash pie. Several of the men let their food digest while lounging in the warm sun on a rock. There was still thirty miles to go until the ride finished at Boston, and rolling along at 12 miles per hour, aided by a downgrade, and accompanied by school bells in each village through which they passed, the men arrived; well satisfied with a ride well done. 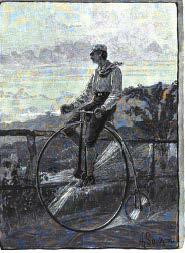 Today we bring you at least four firsts in bicycling history; courtesy of Pierre Lallament, French inventor. But, before we get there, we have to set the stage; and so we’ll start off with a bang. In April of 1815, Mount Tambora in Indonesia erupted, spewing ash into the upper atmosphere. The climate change stemming from this eruption lasted for the next few years, and 1816 especially was known as “The Year Without a Summer.” Rainy weather kept the Shelly family indoors during a vacation at Lake Geneva, to pass the time ghost stories were composed, including Frankenstein. In New England, snow fell in the middle of July. The cost of foodstuffs skyrocketed in Germany, so much so that Karl Drais couldn’t afford the oats to keep a horse. It proved especially popular amongst the foppish gentlemen of the upper classes, hence the nickname “Dandy Horse”. A few were imported to America; Charles Sumner rode one around Cambridge in a bright yellow overcoat, and was subjected to quite a bit of ridicule. A number of other inventors were also fooling with the idea of personal, wheeled transportation. 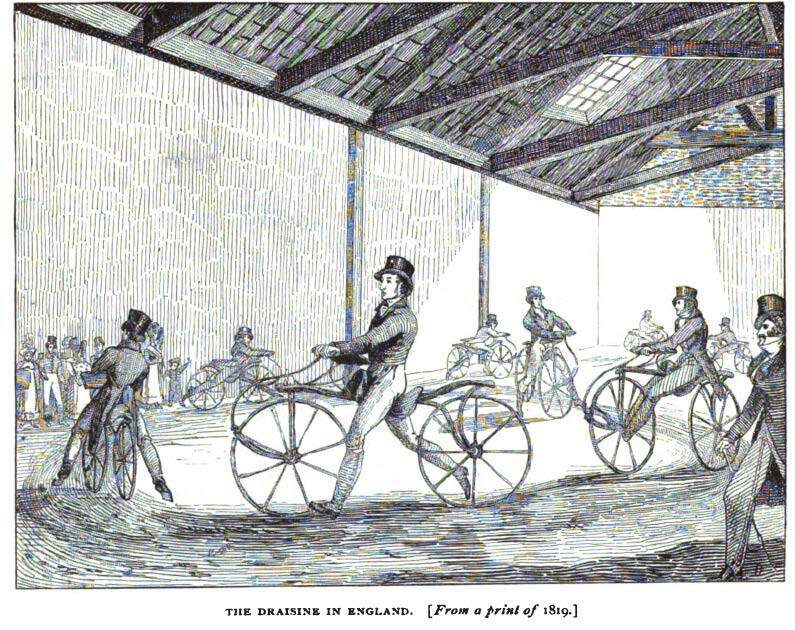 Most of these were three or four wheeled contraptions, driven by cranks powered by using one’s hands to revolve an endless chain attached to rear wheels, and steered with one’s feet using footpads attached to the front wheel. They didn’t catch on. 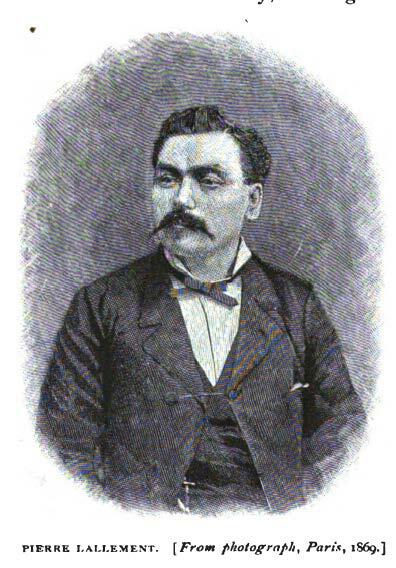 Enter French inventor Pierre Lallament. In 1862, Lallament was struck with a brilliant idea. Why not attach the crank system to a two wheeled system, trusting a foot powered crank to rotate the wheels with sufficient velocity to maintain balance, and steer using the hands? Lallament only made $5 to $10 per week as a baby carriage maker in the French town of Nancy, barely enough to keep body and soul together. But, he saved up, and bought two small wooden wheels. He traded a local mechanic a “bit of money and a good deal of drink” for a serpentine perch upon which to sit. Working on Sundays and borrowing his employers’ anvil, he hammered out the pieces; cranks, forks, pedals and all the rest. 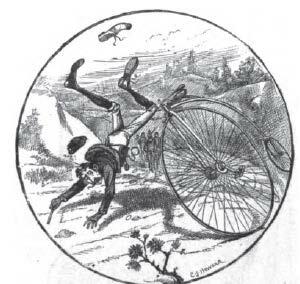 And then, on one Sunday afternoon in 1863, Lallament had before him the first “bicycle,” but damned if he knew how to ride the thing. No one had ever seen one before, let alone hopped on and pedaled around the yard. Over the next few months, he taught himself, riding up and down the long hall at the baby carriage factory. Then he taught his fellow workers to ride it. 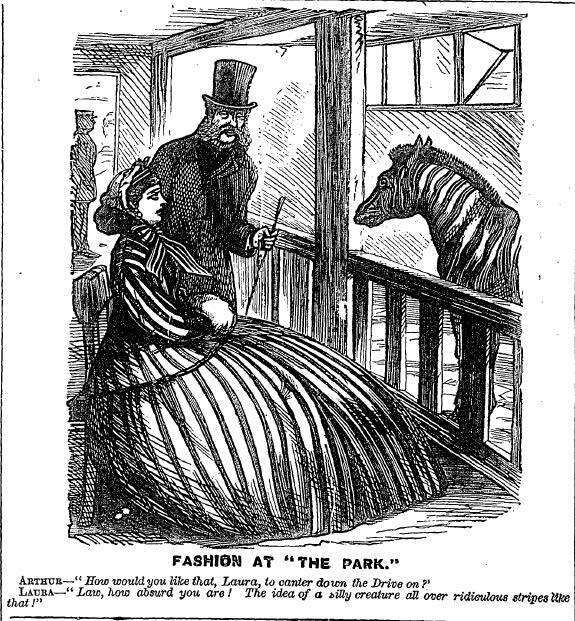 By July, 1863 Lallament was toodling down Nancy’s Boulevard Saint Martin. The first bike ride had taken place. Lallament’s invention was rickety, and the wooden frame was uncomfortable. So he disassembled the whole thing, tossing away everything but the expensive wheels, and set sail for America in 1865, where he thought he might find a job where he could earn a few extra dollars to cover the costs of building a new prototype. He set himself up in Ansonia, Connecticut, found a job, and got to work. 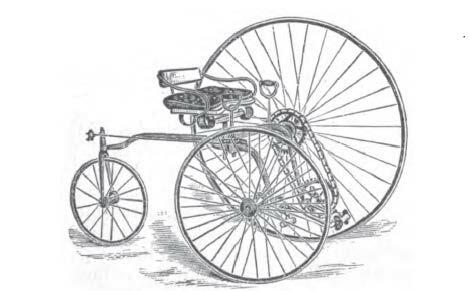 By the late fall, 1865, the prototype was ready, and Lallement took off for a ride on the back roads of Connecticut, the first American bike ride was underway. Lallement headed out toward Birmingham, Connecticut (now part of Derby, Connecticut), on a four mile round trip ride. The route was muddy due to a recent rain, but except for a hill as one approached Birmingham Lallement had a fairly basic ride, and he reached the top of the hill with some effort but much triumph. Then he turned around to head back to Ansonia. This meant gliding down the very hill he’d just climbed, and off he went. A slight problem existed, of which Lallament was not aware until he’d started on his way downhill; he’d neglected to invent brakes. Soon he was going at what was, quite literally, a breakneck pace. Up ahead was a wagon slowly pulled by two horses; Lallement yelled at the driver in French; the horses were whipped into a run, but it was too late for Lallement, he crashed into a culvert, flew over the handlebars into the mud, and cracked his head. He would carry a scar until the end of his days. Brushing himself off, and in need of a stiff drink, Lallement rode into Ansonia, and stopped off in the local tavern. Inside were the cartmen, describing to the incredulous bartender how they were chased by a dark Devil, with human head and a body which was half snake, half bird, and hovering just above the ground. From the doorway, Lallement shouted “I vas ze debil.” When his explanation, hindered by a lack of English, failed to convince them, he gave them a demonstration. 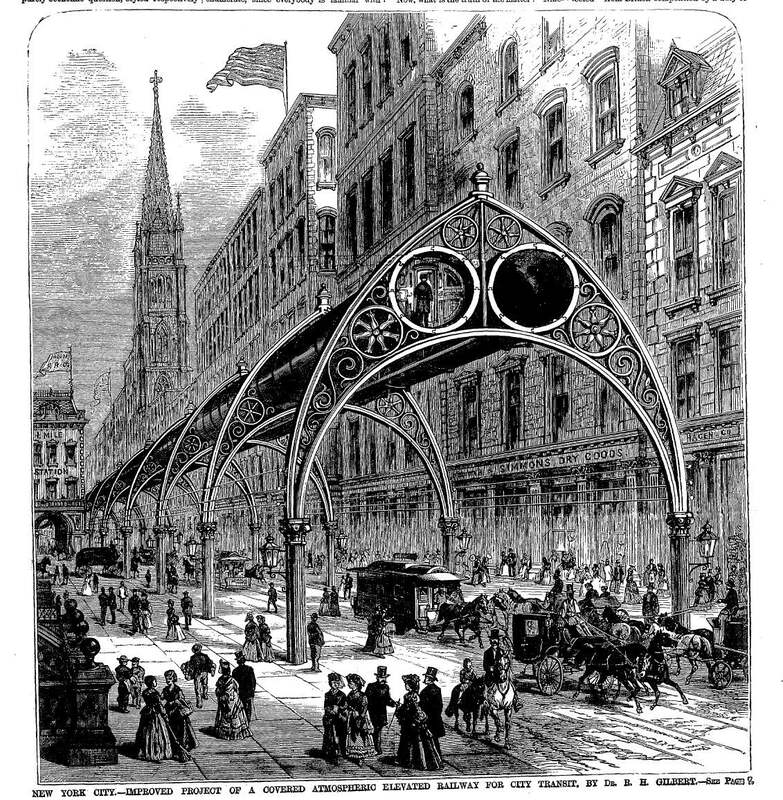 By the late 1860’s Lallement had sold his American patents for10,000 francs, took a job at the Pop Manufacturing Company, and in the end died penniless in Boston in 1891, aged 47. 3.) First bicycle ride in the U.S.
 For more on the Year Without a Summer, and its relation to the invention of the bicycle, check out Brimstone and Bicycles, from the New Scientist in January, 2005. Subscription is required. “Bicycle riding is a good, healthy and invigorating exercise, and is especially valuable to those whose lives are sedentary. Boating, baseball and lawn-tennis are all excellent forms of recreation; but in the wide complexity of modern life there is plenty of room for the wheelman with his graceful iron steed.” – New York Tribune, September 21, 1883. 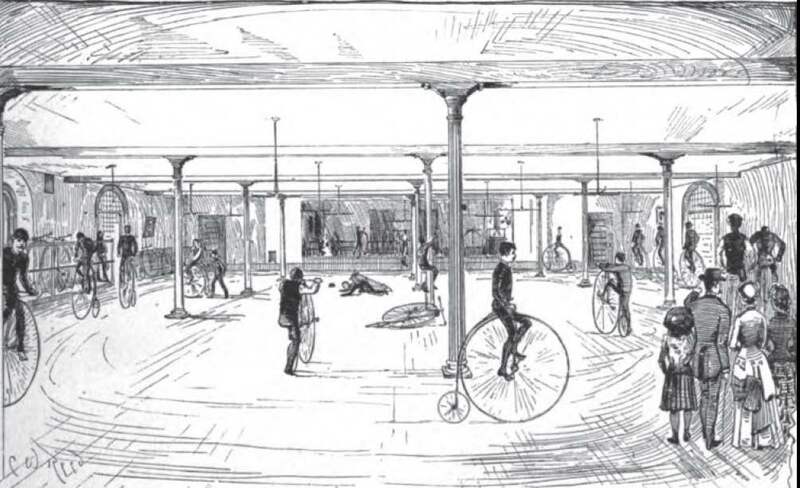 By 1883, the bicycle craze was already well underway. 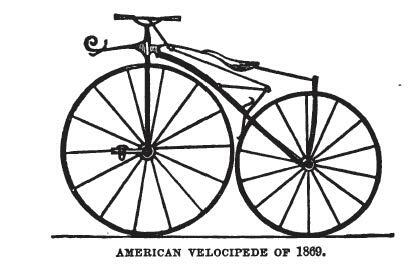 The velocipede had been introduced into this country in 1869, but had met with miserable failure, doomed by a combination of lack of comfort and horrible roads. Over in Europe however, the evolution of the bicycle continued, and in the Summer of 1877, Colonel Albert A. Pope of the Pope Manufacturing Company saw his first bicycle; imported by an English visitor to Newton, Massachusetts. At the time, there were a handful of bicycles in the United States, imported from England, and Pope saw big things in the bicycle. He was off to England on the next boat to learn how the things were made, and in early 1878, the Pope Manufacturing Company began turning out three models of bicycles; the Standard Columbia, the Special Columbia, and the Mustang; the latter designed for the younger bicyclist. For the safety conscious, the Pope Manufacturing Company also turned out the Columbia Tricycle. Barely anyone knew how to ride the dang things, and so Pope set up a riding academy at the company’s corporate headquarters at 87 Summer Street, Boston. Demand soon became insatiable, nor was it restricted to men; word trickled back that a daring “aristocratic lady bicycler” and a coterie of companions were enjoying the City’s pleasant streets. Nor were the streets particularly smooth, spills happened regularly. Pope’s took over the Weed Sewing Machine Company’s manufacturing buildings outside of Hartford, Connecticut. It became the biggest bicycle company in the world, turning out 50 machines per day, and the company imported leather, iron, steel, and horn in vast quantities. Pope subdivided the factory into separate rooms. 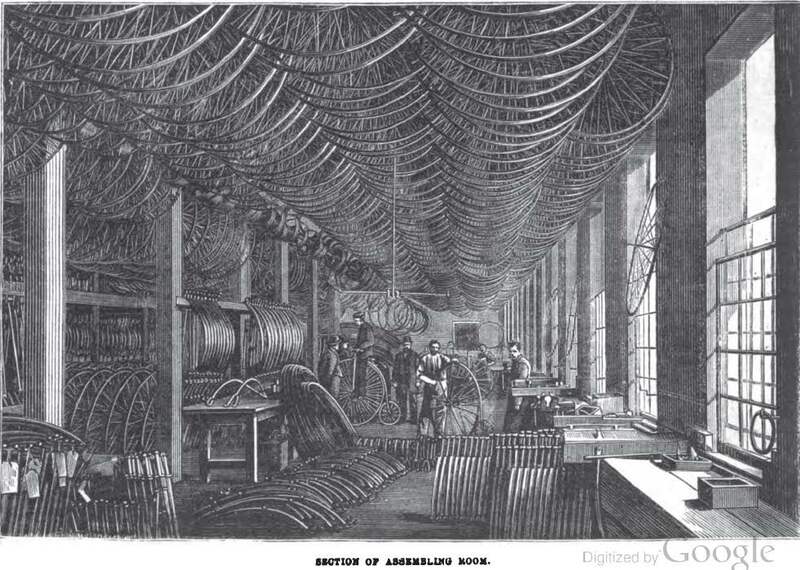 In one, blacksmiths worked pouring metal into specially crafted dies to form the forks which would attached the frame to the wheel; in the “perch shop,” the tubular backbones of the bicycles were bent into shape; and in other rooms the wheels were rolled out, the seats crafted, and the various and sundry parts of the bicycles were welded and lathed. Put together, the bicycles were inspected, and then sent off to yet another room, to be nickel plated and thus protected from corrosion. By the count of one visitor, it took 158 machines to make the 77 parts which went into the Standard Columbia. Their riders loved their new contraptions, some even wrote poetry about them; bad poetry, but poetry nonetheless. Here’s a typical example by N.P. Tyler from 1879. There were accessories too, including the first domestically manufactured cyclometer, which would tell the rider exactly how far he’d gone. Indeed, they began to roam far and wide over the countryside; to race each other in long and short distance races; and to try their skill at “no hands” competitions, all of which exciting details we here at Forgotten Stories will be describing over the next few days, so stayed tuned.